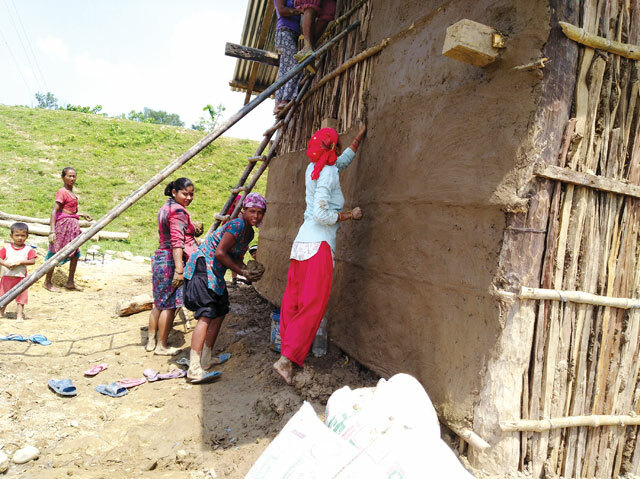 Women plaster mud on the walls of the newly-built house of Sita Tharu. Sita Tharu lived with her large extended family of nine in Rapti Sonari of Banke district in the western plains. The mud hut they lived in simply dissolved as flood waters rose last month. There is a gaping hole where her house once was, and the family has taken refuge in a nearby shed. Sita and her neighbours said the government provided them with one sack of rice, one packet of oil and one tent. None of them fit in the tent and the food soon ran out. "How can a family of nine live in a tent, and in this heat?" she asked us. 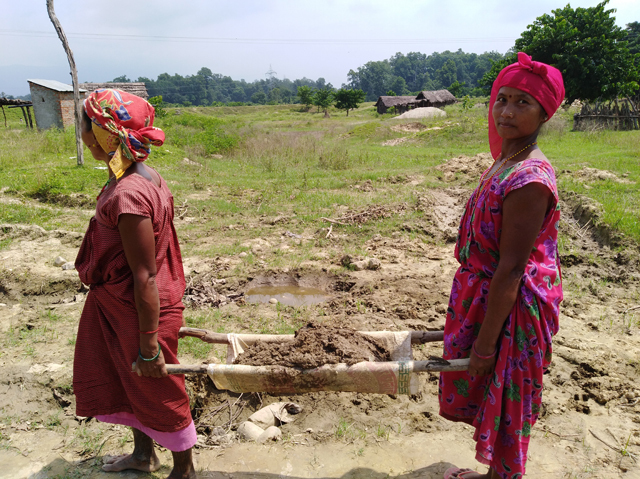 Two women carry mud to rebuild Sita Tharu's house. So, instead of waiting for the government to send more help the neighbours started helping each other rebuild their homes. Salvaging pieces of wood brought down by the floods, they have put up structures of mud and twigs. Since the men are away working in the cities or abroad, it is the women who have ended up building the shelters. Sita is being helped by other women in the neighborhood. Using improvised tools, they are carrying the mud, and plastering them over the wooden walls, and have fashioned ladders to carry the mud cakes up the wall. Purna Bahadur Chaudhary remembers the waters rising at 3AM of 12 August when his family of six were all sleeping. He woke them up and took refuge in his sister’s house nearby just as the house collapsed, washing away all their possessions. 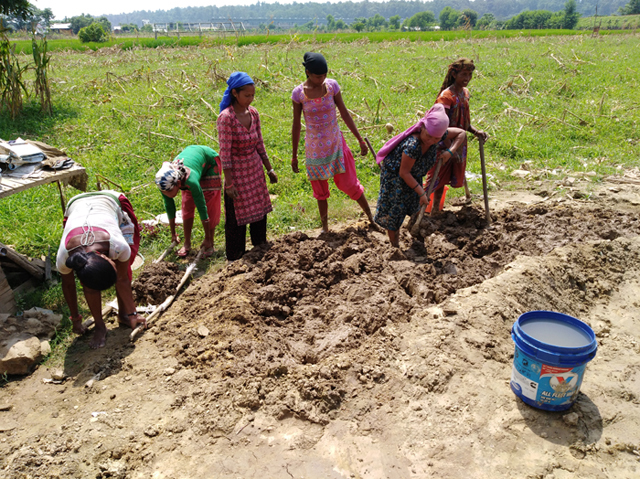 ALL FOR ONE AND ONE FOR ALL: Sita Tharu's friends dig mud to rebuild her house. He has received two sacks of rice 3kg of lentils and one packet of oil from the government, as well as a small tent which is uninhabitable because of his family size and the heat. Chaudhary is also building a mud and wood hut for his family with support from neighbours. 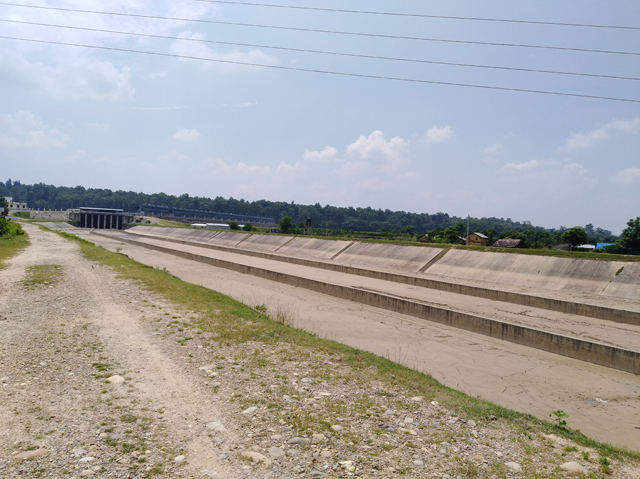 Chaudhary thinks his village and surroundings suffered the sudden flash flood because the Sikta irrigation project embankments dammed up the waters. “The embankment could be responsible for the flood that made so many homeless in Aghaiya village," says Yadav Gyawali, a teacher at Nepal Rastriya Higher Secondary School. Local farmers are now demanding compensation from Sikta. Remnants of Purna Bahadur Chaudhary's house. Sita, Purna and others belong to some of the poorest families in the western Tarai, with meager possessions and a subsistence survival. The floods have taken the little they had saved up. The government’s ‘one-door policy’ prevented donors from taking tarpaulins for the needy families as it had to go through the Chief District Officers office. But the government’s own aid is not enough, and the survivors are caught in the middle. Though it is the responsibility of the government to support the affected families during disasters, in Nepal, this is often not the case. Commitments are made but immediate support does not fulfill the basic needs of disaster survivors. 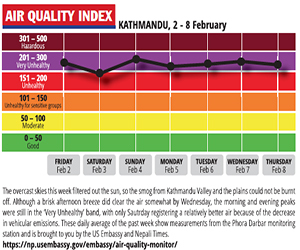 The bureaucracies of the Nepal government as well as that of donor agencies for relief means that aid when it does arrive is too little too late. 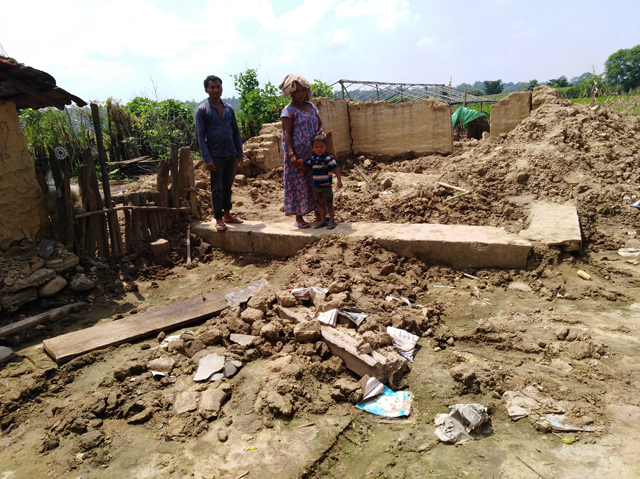 As Sita Tharu and her neighbours have shown, at times of calamities, it is best not to wait for the government but to start helping each other rebuild. The people of Banke have set a dramatic precedent by helping and sharing with those who have less. Namrata Sharma is Chairperson of Centre for Investigative Journalism Nepal. "Nepal is an unsuccessful nation."